$64,000 question: Was Donald Trump installed as POTUS to manage the inevitable bankruptcy of the U.S. Corporation? Herbert Hoover was installed as POTUS on March 4, 1929 by the international banking cartel and wealthy elites. The Stock Market Crash of October 1929 struck just less than eight months after Hoover took office on March 4. Hoover was a conservative businessman, staunch Republican and former Secretary of Commerce whose “ambitious programs were overwhelmed by the Great Depression” … just as businessman Donald Trump rode a wave of nationalism into the White House only to see his MAGA agenda thwarted by Obama’s Deep State. Herbert Hoover’s election was actually a reaction by puritan America to the “Roaring Twenties”, just as Donald Trump’s was a retaliation by the patriot movement to 8 long years of unbridled Obama lawlessness. The straight-laced Hoover supported the Prohibition throughout his entire political career. Similarly, Trump (who does not consume alcohol) rightly rails against the drug culture and drug trafficking over the Mexican border. Even his Attorney General has made the strict enforcement of federal statutes that outlaw marijuana a top priority, as he should. The Wall Street Crash of 1929 was preceded by a market roller coaster ride during October not too unlike the wild DJIA gyrations of this February. This occurred right after the stunning January collapse of the cryptocurrency market during which the premier crypto-coin — Bitcoin — lost well over half of its highest value of just under $20,000 reached in December (Bitcoin is pegged at 8304.74 US Dollar as of today Feb. 11). Just as rampant and reckless speculation has infected every exchange in the current global marketplace, from cryptocurrencies to carbon credits, highly speculative investing became all the rage on Wall Street during the decade leading up to the ’29 Crash and Great Depression. Furthermore, “buying on margin” became an overused practice for both small and large investors alike back in the 1920s just as it’s grossly abused and frequently misused today. 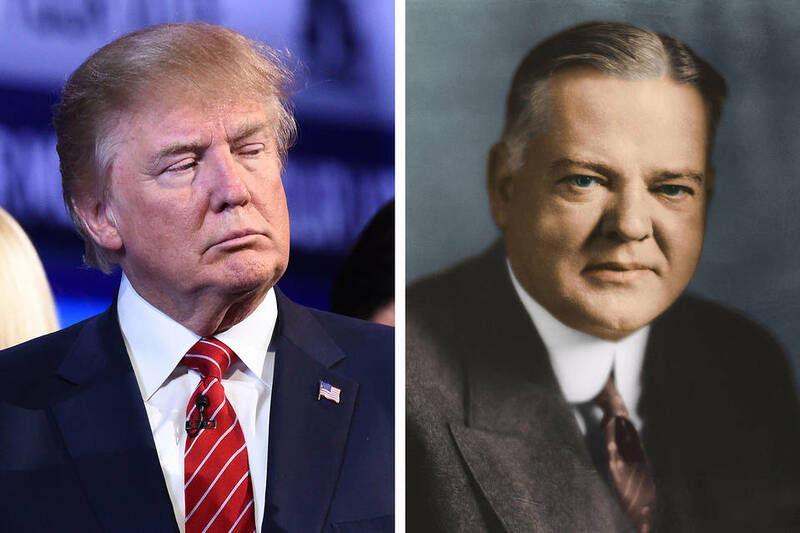 Whereas Hoover had tunnel vision that many historians believe greatly worsened the Great Depression, some of today’s political commentators wonder out loud about Trump’s fiscal responsibility. It cannot be ignored that he declared bankruptcy at least 4 times over the course of his business career. While he somehow recovered from each of them to achieve even greater success, there is a definite pattern which should not be overlooked. In light of these realities, it appears that Trump was secretly chosen by his nameless masters to function as a bankruptcy manager for the U.S. Corporation. Because he is heavily invested in high-end real estate (e.g. Manhattan & Palm Beach), owned major casinos (Las Vegas & Atlantic City), builds luxury hotels at home and abroad, develops golf courses the world over, etc. Trump obviously has a vested interest in a booming economy. However, because of the extraordinary increase in all forms of debt since the Great Recession began, a real recovery has yet to occur. Hence, any type of economic boom remains elusive until this massive debt burden is cancelled and/or discharged. The critical piece of this hidden agenda is very similar to the way that Herbert Hoover’s administration was stealthily used to bring about the severity of the Great Depression. That carefully calculated global economic cataclysm was designed so that it would ultimately serve to set the world up for World War II, which is exactly what it did. (See Endnotes below). Any objective assessment of today’s global geopolitical chessboard clearly indicates that TPTB are surreptitiously setting the stage for a hot phase of World War III. The 10 years prior to the Great Depression were used in a similar fashion to create the conducive circumstances for the Second World War. As a matter of historical fact, embargoes and economic sanctions were cynically utilized then, too, in order to cultivate the combustible conditions for widespread armed conflict. What really pushed the Allies into their declarations of war against the Axis powers were the intense political and diplomatic pressures, and especially the economic and financial stresses, caused by the unrelenting Great Depression. The world community of nations has been experiencing the very same dynamic since the Great Recession really began with the Dotcom collapse at the turn of the millennium. The current phase of warmongering was then greatly exacerbated by the false flag terror attacks of 9/11. Were the truth to be told, the whole world actually entered a “Second Great Depression” right after the stock market crash of 2008…and it has yet to break out of it. There are very good reasons why this particular depression has been so relentless which are delineated at the following link. Obama’s primary job was not only to hide the true state of affairs, but also to greatly exacerbate the 8 year economic downturn. The Obama administration did absolutely nothing to help the nation recover. Obama, himself, was much more concerned with deeply dividing the country along racial, religious, gender, and sexual orientation lines. By the way, this is perhaps the real reason why Trump personally decided to run for president. As a serious businessman, he knew the USA could not tolerate 4 more years of utter incompetence, willful neglect and rampant malfeasance by the U.S. Federal Government under a Hillary Clinton presidency. Trump had often expressed a strongly held sentiment, over many years of granting interviews to the press, that the nation was terribly mismanaged by the political class and consequently taken advantage of by foreign nations. As a result, reversing the multi-decade trend of financial exploitation and economic destruction of the United States by the international banking cartel became Trump’s primary political mantra. However, the foreign and domestic agents of the Very Deep State will not permit Trump to execute his plans unless he also advances their Republic-busting agenda. See: Engineered Market Crash: Who ordered the controlled demolition and why now? KEY POINT: The stock market is nothing but a global gambling casino for the rich and powerful. It does not reflect any of the true financial indicators or economic realities. In fact, all the major markets were created and are sustained with smoke and mirrors. Today’s “Money Masters of the Universe” were masters of illusion before they became full-time banskters. With this understanding, it’s quite likely that President Trump knows the entire house of cards has to come down. Having owned casinos in both Las Vegas and Atlantic City, surely the prez knows that they are the biggest [LEGAL] money laundering operations on the planet, especially drug money which he has targeted. 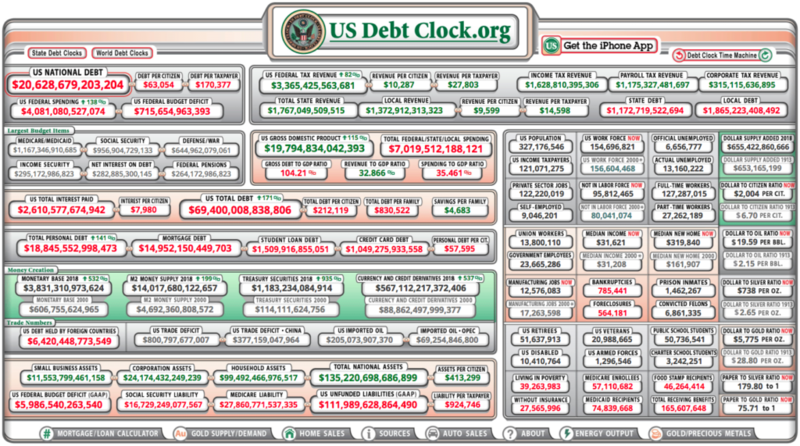 Trump also knows that to really MAGA, the massive debt load now paralyzing the USA must be released once and for all (just as he had to do four times). Does Trump knows that he was chosen to be the first bankruptcy manager for the U.S. Corporation? Does Trump know how TPTB are using him to trigger the coming 1929-magnitude stock market crash? Most likely. He’s surrounded by a phalanx of Goldman Sachs finance types who were involved with the last few market crashes. Is Trump aware of the scheme that the same Neocon warmongering perps will attempt to use him to kickoff the hot phase of World War III? That’s a very good question. It appears that his most important assignment was to corral the Right into a war-supporting posture. The Democrats — this time around — have already been socially engineered by purposeful design to hate Russia. Certainly Trump knows how his campaign rhetoric of becoming the world’s peacemaker diverges more by the day from his current foreign policy of continuing all the wars started by Obama and Bush, Jr.
What does Trump’s aggressive military strategy in Syria say about his peace plan for the Middle East? The truthful answer to this question will reveal the secrets of the whole megillah. Special Note: If history provides any indication of the timing and evolution of the rapidly unfolding events in 2018 and beyond, the following observations ought to be considered. The first two World Wars were started during Democratic administrations. Their preceding economic depressions were set up during Republic administrations. Likewise, both the Korean War and Vietnam War were initiated by Democratic presidents. The international banking cartel deliberately timed the biggest wars of the 20th century in this way because Democratic presidents could be used to drag their typically war-averse constituencies into armed conflict using false flag attacks as a pretext. However, this trend shifted after the joint CIA-FBI operation know as COINTELPRO successfully shut down the American anti-war movement. Since that development, the GOP’s Bush senior waged war on Iraq in 1990 as did W. Bush in 2003. Bush junior also invaded Afghanistan after 9/11. Then Democrat Bill Clinton waged an unprovoked war of aggression against Yugoslavia as Obama did against Libya and Syria. Moral of the 100 year story: It looks like yet another major stock market collapse will be triggered to markedly worsen the ongoing “Second Great Depression”. Trump’s term in office will then be used to engineer a deep economic downturn — worldwide — sufficient to bring the major powers into open, wide-scale, military conflict with each other (aka the hot phase of WW3). Truly, the “CRASH OF THE MILLENNIUM” is a forgone conclusion. There is no stopping it at this very delicate point. As for when the final crash and burn takes place, that can only be surmised. Nevertheless, everything points to sooner than later. When the Dow hit an all-time high of 26,616.71 on January 18th, the fate of the stock market was sealed. Not only was that artificially manipulated rise to stratospheric heights completely without substantive justification, it was unsustainable even in the very short term. The present reality is that all of the markets — equity and bond, currency and commodity, real estate and insurance, derivative and carbon — considerably overlap and inextricably interpenetrate each other. Hence, when any one market falls hard, it will inevitably have a domino effect. With the increasing pervasiveness of the Internet, however, everything has changed—BIG time! Most who play the markets now know that the exchanges are used to systematically redistribute wealth from the “have-nots” to the “haves”. With each and every bust in the cycle, the middle class loses its shirt…after losing the home and business. Even the man on the street knows they are being gamed with every single market transaction. The Bottom Line: Donald Trump was specifically chosen by a major faction of the power elite at this defining moment of “The Greatest Show on Earth”. As the selected bankruptcy manager for US, Inc., Trump’s is a pivotal role that no one else could play. Given his deep and broad business experience, particularly with filing for Chapter 11, he possesses the right stuff to usher the country through its first default on the national debt. Trump’s primary task will be to marshal the nation through an orderly default, which needs to be sold to the American people, in advance of the declared insolvency.